Your ethnicity estimate is a breakdown of ethnic regions found in the DNA you’ve inherited from your ancestors (on both sides of your family, as this is an autosomal DNA test and not a Y-DNA, mtDNA or X-DNA), as well as the percentage of your DNA that matches the known DNA patterns from each area. MyHeritage analyzes your ancestral roots in great depth to provide the most diverse percentage-based ethnicity breakdown, which includes 42 ethnicities from around the world. This includes Japanese, Irish, Italian, five Jewish ethnicities — Ashkenazi, Sephardic, Mizrachi, Ethiopian, and Yemenite — a level of resolution offered by no other DNA company, and many others. Ethnic groups historically come from the same geographic regions and drew from a local gene pool. In previous generations, people didn’t move around as much as we do today. They didn’t fly cross-country or even sail across oceans often. Most people had children and died in the same region where they were born. Their children, in turn, started their own families in the same area, with other people from the same local population. This continued for generations, and a correlation emerged between specific DNA sequences and various specific geographic locations. This was especially true for geographically-isolated places like the island of Ireland. Why are some ethnicities defined geographically and others aren’t? Sometimes this endogamous DNA inheritance wasn’t necessarily geographic — it may have been cultural. For example, most Jews (Ashkenazi, Sephardic or Mizrahi) or Mennonite Christians married and had children within their own groups for generation after generation, creating a correlation between certain DNA sequences and particular cultural identities. The models come from a compilation of sources including the MyHeritage Founder Populations project. Founder populations are groups of people who have lived in the same place for many generations. We sent DNA kits to people selected on the basis of their backgrounds as genetically representative of their geographic region. 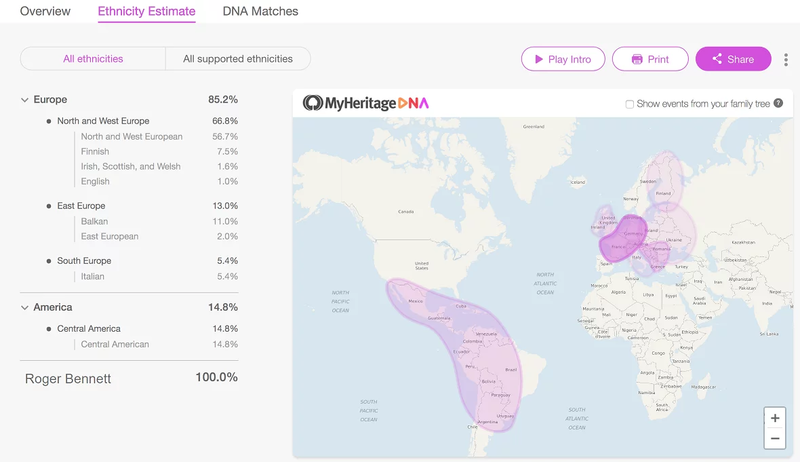 This project — the largest of its kind ever conducted — enables MyHeritage to feature many more percentage-based ethnicities than any other major DNA testing service. Why are ethnicities categorized by region and not by country? Country borders change over time: Ethnicity breakdowns are by region more than by country because country borders are a political construct and change over time, especially in regions that have experienced many wars. It is more accurate to trace a genetic pattern to a geographical region where people were likely to intermarry for many generations, without being concerned whether that area was called Romania one year, Hungary the next, and Ukraine three years after that. Genetic similarities exist across country borders: Another reason it is more accurate to consider regions, rather than countries, is that even before air travel, some mobility did exist, and genetic similarity spread beyond a country borders. This is also why some ethnic regions will have overlapping borders — when the regions are spread out, the borders are not clean cutoffs, but rather blurry estimations of where the genetic similarity ends. 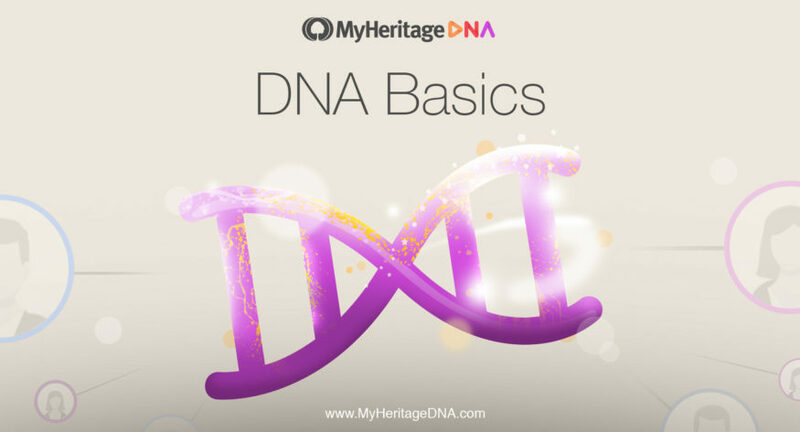 Buy a MyHeritage DNA kit today for your detailed ethnicity breakdown with the most comprehensive list of ethnicities in the industry.